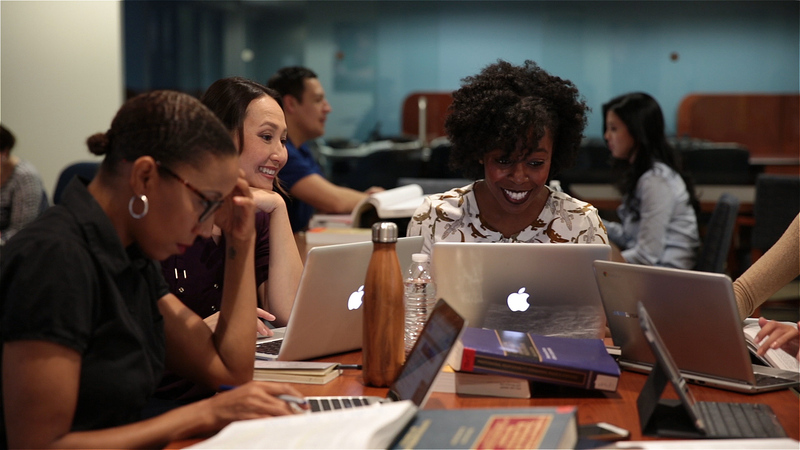 Since 1965, John F. Kennedy University’s College of Law has been providing highly motivated students of all ages and life circumstances with the tools they need to succeed in the legal profession. Our emphasis on social justice and public-interest law allows students to gain valuable legal experience while providing much-needed services to the local community. The College of Law’s accomplished full-time faculty is supplemented by an adjunct faculty of successful current practitioners, including attorneys and judges, who bring an up-to-the-minute, on-the-ground perspective to classroom learning and who are uniquely situated to introduce our students to the elements of legal practice that go beyond casebooks and theory. As former Director for Examinations of the State Bar of California, JFK University College of Law’s Dean Barbieri played a key role in developing the California Bar Examination. He has personally worked with faculty to integrate key concepts and exam-taking strategies into the College of Law’s unique bar study program, which is available to all students and included in the cost of the program. Tort law covers that area of civil law that provides legal remedies for personal injuries and property damage caused by others. Tort law virtually always involves money. Beneath the demand for money is often a desire for respect, mutual recognition, or vindication. Tort cases often involve struggles between profits and safety. Too often, tort cases turn injury and loss into commodified products marketed in the legal system. Tort law says a lot about how society treats each other, how we expect to be treated, who recovers, and who does not. It does not treat all of us the same. This course provides an overview of the means by which individuals become subject to contractual obligations; the ways in which contractual terms are interpreted; the methods by which these obligations are satisfied, modified, or revoked; the rights and obligations of non-contracting parties; and the remedies for failure to fulfill contractual duties. First-year students will be instructed on how to effectively approach law school examination questions and to organize and write law school examination answers. Development of these examination skills will enhance the students’ performance throughout their law school curriculum and assist the students as they prepare for, and take, the California Bar Examination. The primary focus of Legal Methods and Examination Skills is to introduce the structure of legal rhetoric. This is accomplished in the context of planning and writing answers to hypothetical law school examination questions. Students are also introduced to a system for organizing and synthesizing the material of substantive courses and to the resources of the Law Library, particularly those materials useful during the first year. First-year students enrolled in this course entering school in the spring semester will earn three units of credit for this course. The philosophy of criminal responsibility, the laws defining crimes and establishing punishment, and the negation of criminal responsibility by reason of general and special defenses comprise the majority of topics discussed in this course. Particular areas, such as the defenses of mistake, insanity, and intoxication, and the impact of legal doctrine on the actual administration of criminal justice, are also explored. An in-depth examination and discussion of the development of federal criminal procedure and the evolution of constitutional case law are utilized and applied to landmark cases. This course focuses primarily on the Fourth, Fifth, Sixth, and Fourteenth Amendments and the attendant rights of and limitations upon the individual defendant, law enforcement, the prosecutor, and the criminal defense attorney. This course focuses on organizational strategies for conducting electronic research. Substantial attention is devoted to the specific benefits and challenges of electronic search engines and databases, principally Westlaw. Students learn the features of these tools and how to design and implement effective search strategies. This course covers the traditional scope of property law including land possession, estate interests, landlord and tenant law, concurrent ownership rights and liabilities, and regulatory takings. The course also places special emphasis on modern developments in real property facing today’s practitioner in the areas of conveyance, land use, and finance. Civil Procedure and Skills is the study of the rules of courts. Unlike other substantive courses, Civil Procedure and Skills is not the examination of rights, injuries, and available remedies. Instead, Civil Procedure and Skills is the framework upon which those rights are brought before the tribunal and how to collect on remedies awarded for injury. Topics include jurisdiction, venue, service of process, pleading, discovery, multiparty litigation, pretrial motions, trial, judgments, and appellate procedure. The course covers both federal and California civil procedure. Within the context of the California Evidence Code and the Federal Rules of Evidence, students analyze the nature of judicial proof and consider the theory and application of the rules regulating the admission and exclusion of testimonial and documentary proof. This course reviews the constitutional system of the United States, including the role of the judiciary; division of powers between the states and the federal government; powers of the president and Congress; limitations on the powers of government for the protection of life, liberty, and property; federal and state citizenship; and the constitutional protection of individual rights. This course examines the law of intestate succession; the drafting, execution, revocation, and revival of wills; the nature of trusts; selected aspects of the law of future interests; and the creation of durable powers of attorney and other vehicles for establishing family rights and protections. This course explores the modern challenges to fulfilling the attorney’s professional responsibility and the far more profound dilemmas facing a responsible attorney seeking to practice ethically and to adhere to the highest professional values in the 21st century. Topics include organization and regulation of the legal profession; canons of ethics; disciplinary measures; the lawyer’s responsibility to clients, the community, and the profession; and the obligation of judges to remain impartial and independent. In addition to covering the basic principles governing sole proprietorships, partnerships, and corporations, this course reviews the law of agency, state corporation laws, and federal and state securities laws that regulate public and closed corporations. The course also examines the processes and systems that provide for the issuance of shares, corporate structure and governance, the liability of corporate managers, and restrictions on dividends and distributions. This course examines the California community property system, including general principles of classifying marital property, management and control of community property, liability of marital property for debts and torts of the spouses, and division of community property on dissolution or death. This course identifies and distinguishes the types of recovery available to a plaintiff for both legal and equitable relief, including the study of the viability of monetary damages, specific performance, injunctive relief, and other recovery in tort, contract, real property, and constitutional law. Advanced Legal Writing focuses on a variety of advanced legal writing topics, including drafting solutions to client problems and refining skills in issue identification and written analysis.